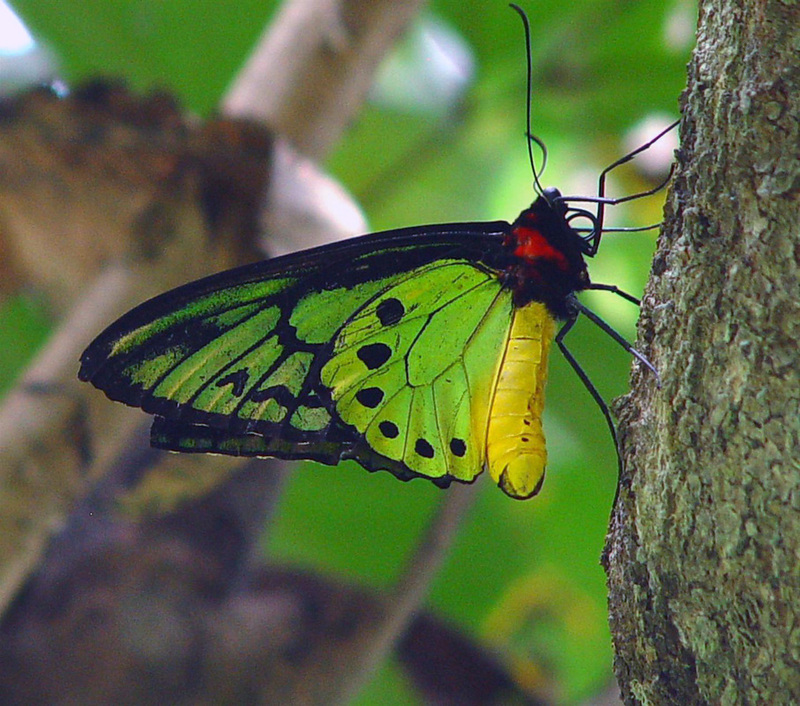 Beautiful butterfly and dragonfly desktop background wallpapers for your computer. 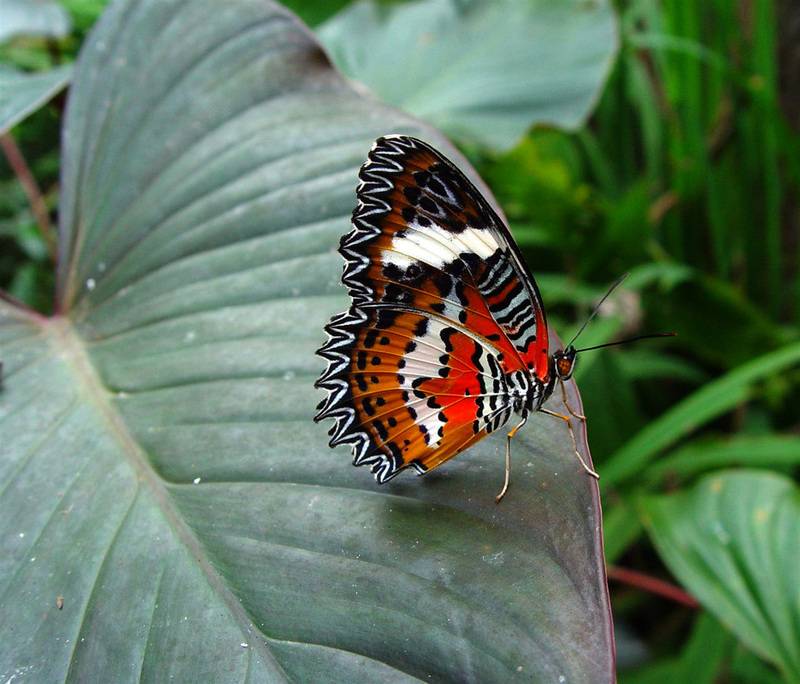 Visiting the Butterfly Farm was just one of the exciting parts of my adventure in Bali. 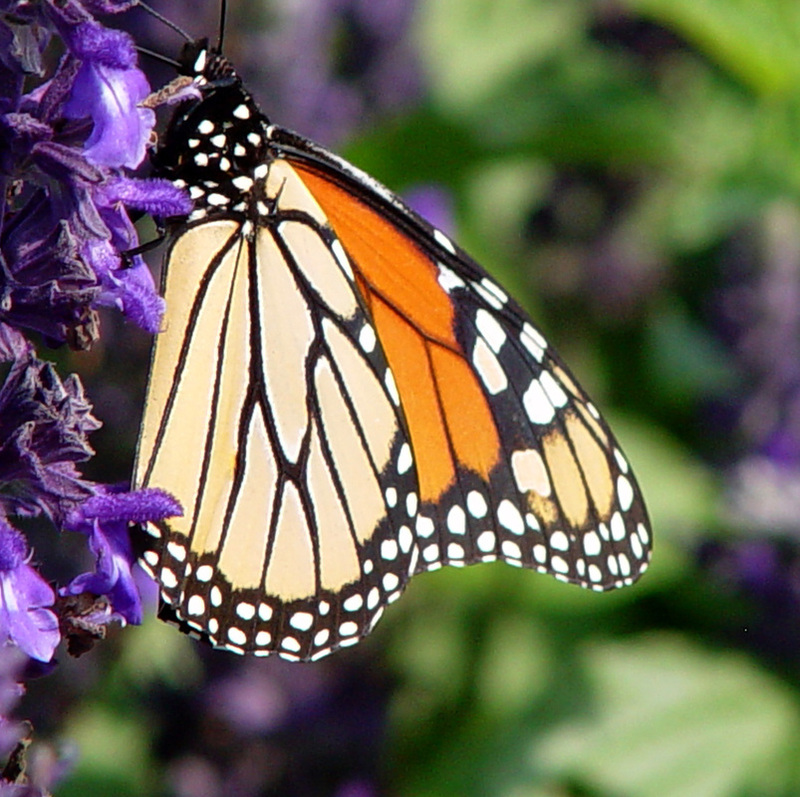 This beautiful butterfly had just hatched. You can see more butterfly pictures and read about Bali in my travel stories A Week in Bali. So many different colorful butterflies! 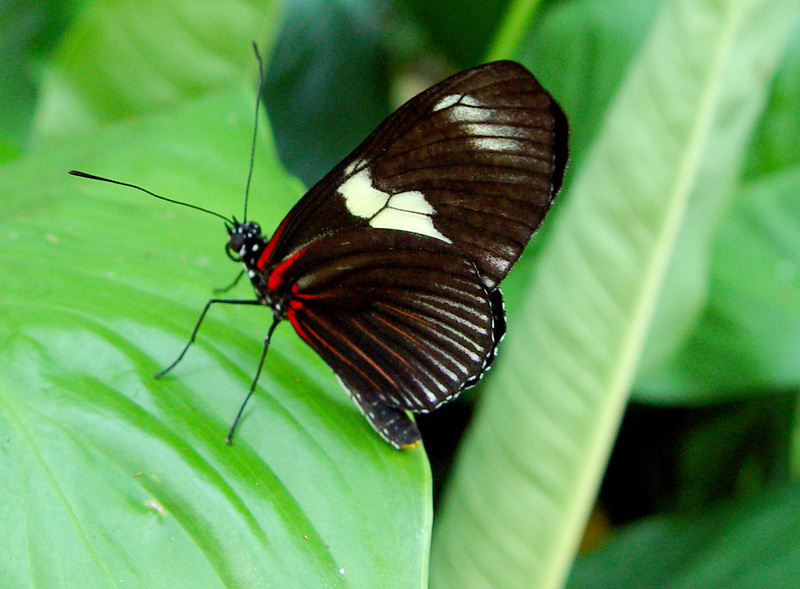 I really like this black and red butterfly perched on a green leaf, thought it would be an interesting wallpaper for a desktop background. Personally I have always felt as lucky to catch sight of a dragonfly as a butterfly. 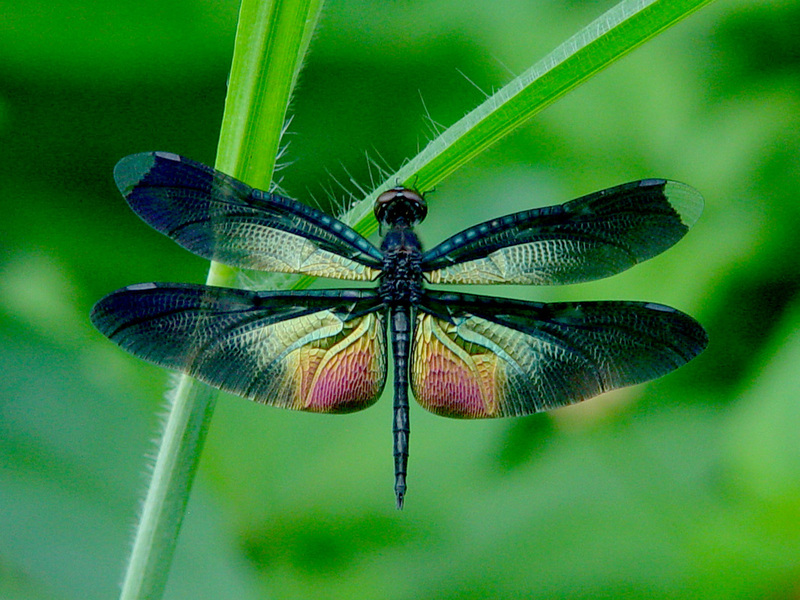 This colorful dragonfly really made my day one morning while taking my dogs for a walk. He makes a beautiful colorful yet simple wallpaper for a desktop background. 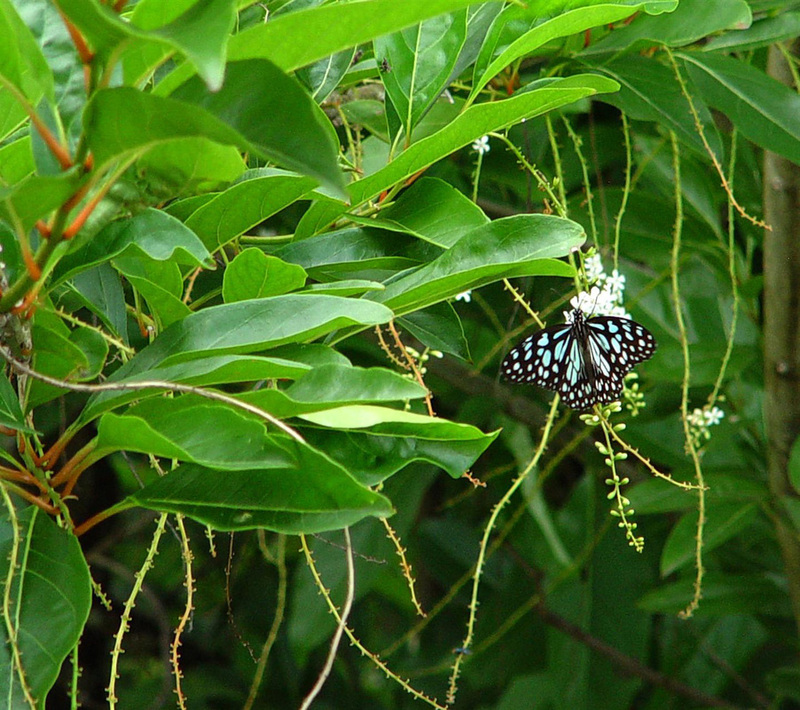 Probably one of the most easily recognized butterfly, the Monarch is not only a beautiful specimen of butterflies but has one of the most interesting stories too. They travel up to 2,000 miles to gather at their breeding grounds in Mexico. This particular image came from a trip to Iowa and a visit to the Reiman Butterfly Gardens. 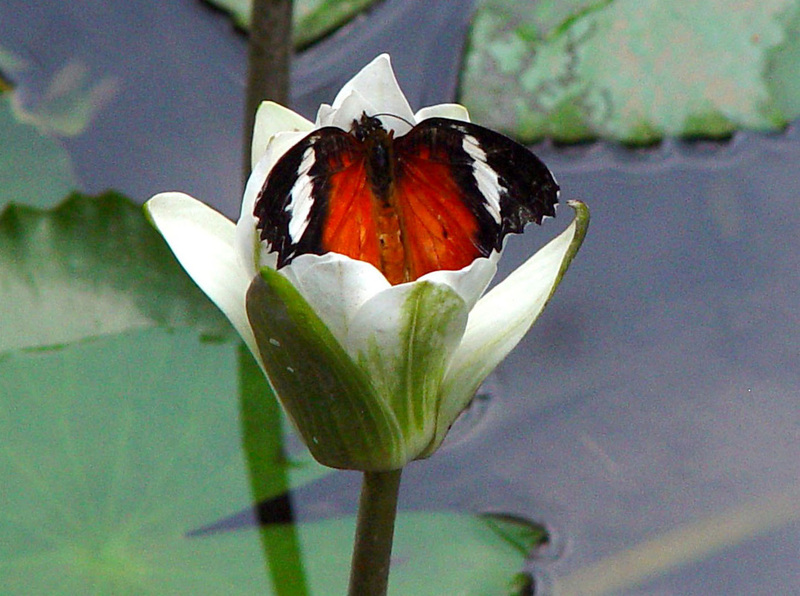 For more butterfly pictures check out my travel story Butterflies and Bullfrogs. 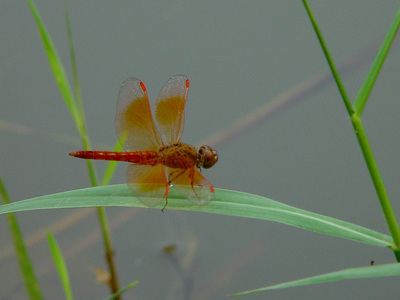 An orange dragonfly perched on a leaf by the side of the pond. Love it when photo opportunities like this appear. Thought this would also make an interesting wallpaper. Colorful butterflies may be beautiful, but this white butterfly really caught my attention! 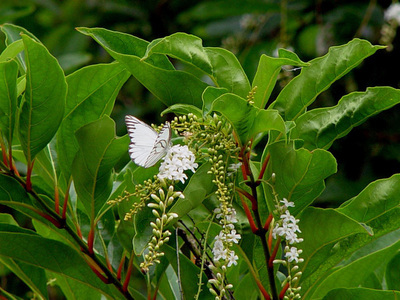 A cool wallpaper for butterfly lovers! How much do you know about butterflies? Take my just for fun Butterfly Trivia Quiz and find out what your Butterfly I.Q. is!